The Rohingya minority is denied citizenship in overwhelmingly Buddhist Myanmar, where they’ve faced persecution for decades. “The hundreds of thousands of Rohingya who have fled from Myanmar to escape violence have been victims of one of the most tragic stories of the violation of human rights,” Guterres told CTV News,on July 2, at a news conference. “The refugees live under terrible conditions in the camps. But, we praise Bangladesh for being generous toward them,” he revealed. “It’s impossible to visit these camps without breaking our hearts with the suffering of the Rohingya people,” the UN official sadly expressed. He further explained that the solidarity the international community was demonstrating toward the crisis wasn’t necessarily being translated into reality when it comes to funding. “I’m particularly worried about the potential threats of flooding and mudslides because of monsoon rains.” Thus, he urges the international community to step up with funding. The president of the World Bank Group, Jim Yong Kim, who also visited that camps, promised to continue to work with Bangladesh’s government to support the refugees. Last week, the World Bank announced a $480 million grant to Bangladesh to address the needs of Rohingya, including health care, education, water, sanitation and social protection. 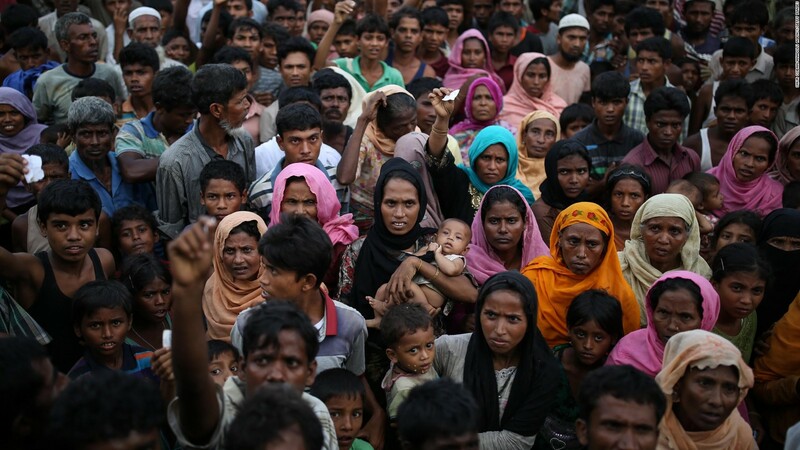 The spasm of violence in Myanmar is described as by the UN officials as an ethnic cleansing by the Myanmar security forces against the ethnicity of Rohingya who adhere to Islam and are citizens of Myanmar. The Muslim South Asian country of Bangladesh signed with Myanmar an agreement in November 2017 to start repatriating the Rohingya in January 2018. However, the process was delayed over safety concerns and a complicated verification process. Global human rights groups and the UN said the conditions in Myanmar weren’t safe for the refugees’ return.